This mask calms and hydrates, significantly reducing the appearance of fine lines and wrinkles. Single use mask must be mixed with water. Solid brown with black beads. Natural cell regenerating treatment targets skin resurfacing, leaving skin luminous and soft. 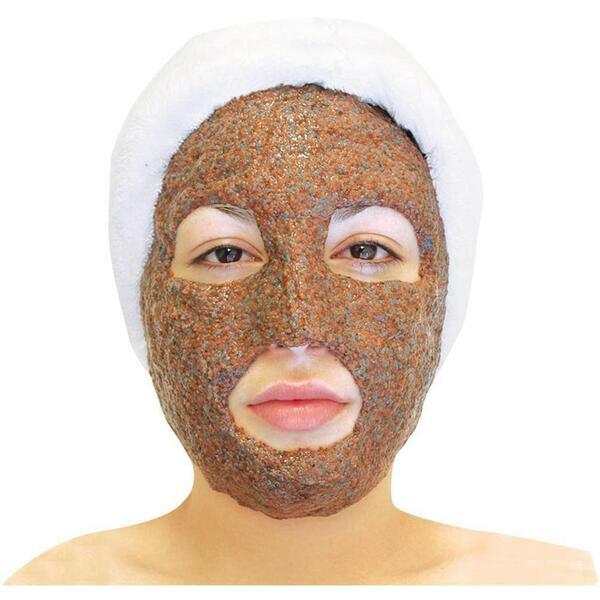 This mask has superb healing properties for acne, inflammation, open pores, and discoloration. It significantly reduces the appearance of fine lines, wrinkles, and superficial acne scarring. All skin types: Anti-aging, repairs, calms, and hydrates.